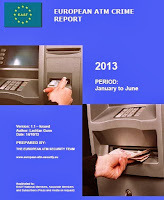 The European ATM Security Team (EAST) has just published a European ATM Crime Report covering the first six months of 2013. 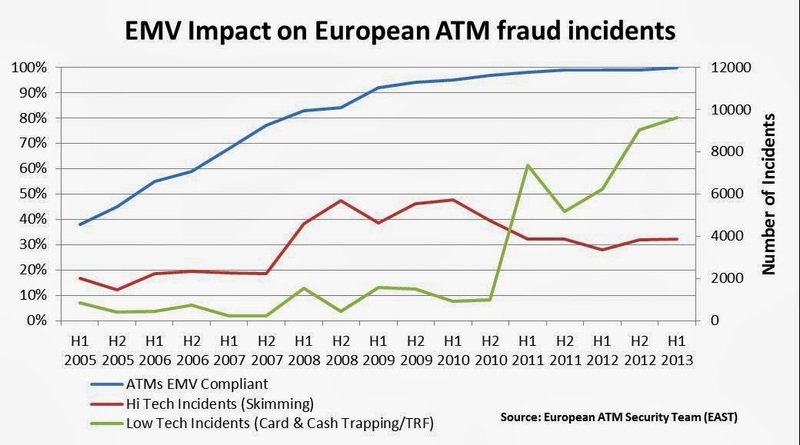 This shows significant rises in both low tech fraud incidents and ATM explosive attacks, while card skimming incidents fell again. The overall increase in low tech fraud incidents is due to a surge in the number of cash trapping and transaction reversal fraud incidents. 7,885 such incidents were reported, up 77% from the 4,464 incidents reported in H1 2012. While both these attack types can succeed in the EMV environment, as normal transactions take place on EMV cards, criminals get less from them than from high tech skimming attacks. The chart below shows an analysis of the overall figures since 2005. 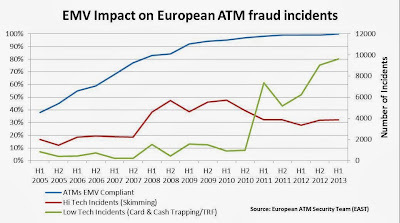 ATM related physical attacks on European ATMs increased by 4% (up from 968 to 1,007 incidents), driven by an increase in solid explosive and explosive gas attacks at ATMs. These attacks rose 74%, from 194 in H1 2012 to 337, with one large country reporting this type of attack for the first time. Such attacks were reported by eight countries, four of them were countries with more than 40,000 ATMs installed. 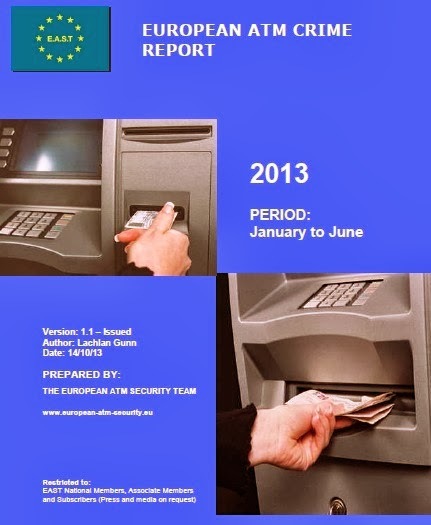 To counter this EAST will be launching an Expert Group on ATM Physical Attacks (EGAF) in 2014. This follows on from the success of the EAST Expert Group on ATM Fraud (EGAF) which was launched this year. To read the whole press release visit the EAST Website. To get the Crime Report it is necessary to subscribe to EAST, or for an (approved) organisation to join EAST as an Associate Member.